Hello makers, inventors, and 3D printing enthusiasts! Diabase went mostly silent for the last couple of years since the launch of the Flexion extruder. We’ve had our heads down on an exciting development project. What you see on this website is the result: the Diabase H-Series Machine, a hybrid machine tool combining additive, subtractive, and post-processing capabilities in a single build environment. That’ll be a lot of blogging! The last point alone covers an enormous number of possibilities. The H-Series is a multi-functional machine, but don’t get the idea that it’s one of those all-purpose products that does many things, but excels at none. Every subsystem and attachment is well-engineered and solves a real problem in the additive manufacturing toolchain. If you know the Flexion Extruder, then you know the quality to expect from this machine. The H-Series consolidates all of the fully-developed solutions to the many problems that we encountered when trying to use existing printers for our own needs. For example, we wanted to use PVA as support material, so we had to add a filament-drying cabinet. We wanted to digitize footprints, so we developed a linear laser scanner. Each of the “features” of the H-Series is a necessary bit of functionality to allow the serious maker to freely create. Of course, not every user will want every feature, so the machines are up/downgradable with modular systems. The H-Series machines will be affordable – we want to get this capability into the hands of makers and inventors, not just corporations and institutions. 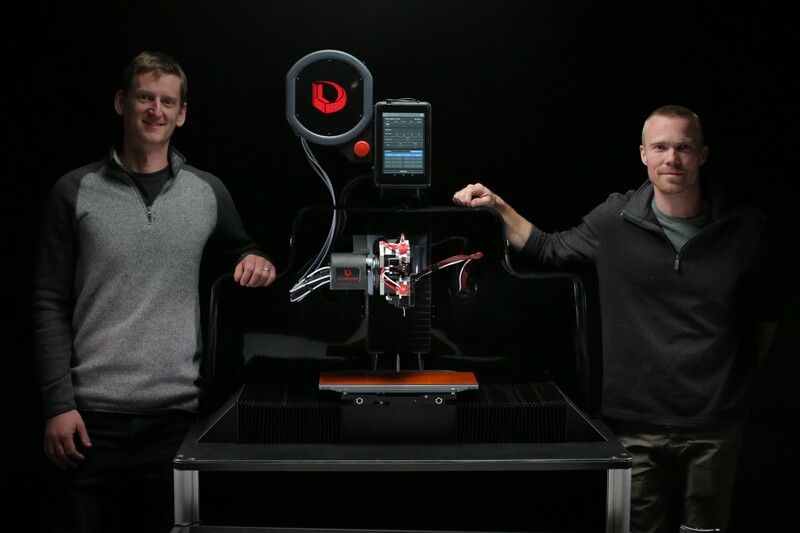 The price will be in-line with the cost of high-end 3D printers, while offering far greater capabilities. We’ll be going through those capabilities step-by-step here, so keep an eye on this blog. H-Series machines will be available for early-adopters to order in a few weeks, and they will ship at the end of the summer. Early adopters will get a sizeable discount on the purchase price in exchange for playing an active role in our user network. Please sign up for our mailing list to stay updated, and let us know if you are particularly interested in becoming an early-adopter.